You dig deep into your pockets for your DVDs and go to great lengths to back them up as they are hardly the only format you need these days. But almost all commercial DVD discs are secured with protection to prevent piracy and unlawful distribution of the media files, making it tricky to rip DVD without DVD ripping software. Luckily for you, this guide will cover all the tips about protection and show you how to unlock protection from DVD for easily copy/rips. DRM (aka Digital Rights Management) is deemed to be an anti-piracy technology used by publishers, copyright holders and individuals to control the use of digital content after sale. It is implemented by encrypting the data that only authorized users can access or making the content with a digital watermark or similar methods to prevent "intellectual property" from being copied freely. However, opponents, partial to DRM removal from DVD or other media content, argue that DRM serves only to inconvenience legitimate customers and helps big business stifle innovation and competition. Technically, it's quite difficult to find an ideal program touting both DVD ripper and DRM remover, despite some boasts the feature to get rid of copy protection, notwithstanding ends up with dissatisfaction. But MacX DVD Ripper Pro dominates the DVD ripping field by keeping up-to-date with the latest DVD protection which many other software like DVD cloner, DVD43, AnyDVD, etc cannot manage. It helps to remove all types of DRMs from DVD, such as Disney X-project protection, Sony ARccOS protection, CSS, Region Code, etc and rip copy protected DVDs to a wide range of formats and devices with fast speed and no quality loss. Below is the detailed DVD protection removal and DVD copy guide using the best DVD ripping software. 1. Wrong title selection. Many commercial DVDs, especially workout DVDs and Disney DVDs, come with copy protection in the form of 99 titles each, making general DVD rippers like Handbrake fail to scan disc for the main title. 2. I/O error. People usually use DVD decrypter to rip a DVD. But after they get to 90% or so ripped to hard drive, the I/O error occurs. 3. DVD ripper crashes. General DVD backup and rip tool like AnyDVD may crash halfway or never start ripping when facing the DVD with DRM copy protection. 4. Audio/video sync error. The video you rip from DRM protected DVD usually turn out to be garbled, or the output audio lagged several seconds or more behind video you played. 5. CPRM DVD Fail to Playback. The CPRM protected DVDs can only be played back on the original PVR/DVR and cannot be copied at random. If you can't rip protected CPRM DVD, you fail to play it on your PC or mobile devices. Prior to the DVD copy and rip guide, please make sure the operating system of your computer and download the right version of DVD DRM removal app. Step 1: Launch the DRM remover on Mac, load a DVD movie by clicking "DVD Disc". See the detailed guide on how to rip a DVD on a Mac. Tips: the DVD copyright protection software is built in a unique DVD analysis technology, which supports the latest DVD and can automatically scan the correct title to ensure the main movie content to be ripped. Step 2: Choose the output format you prefer. This DVD ripping software not only decrypt DVD but also rip DVD to MP4, MOV, AVI, FLV, MKV, etc and convert DVD to the latest devices like iPhone 7/6s, iPad Air, Samsung Galaxy series, Google Nexus 7, WP8, Surface, etc. Step 4: Click "RUN" to start the conversion. You can view the conversion progress and are able to cancel the converting process at anytime. After the DVD decrypting, you can sync the converted movies to iPhone iPad with MacX MediaTrans. 1. Other DRM file types besides DVDs. In addition to DVD DRM copy protection, Apple iTunes also slaps DRM handcuffs on its music, movies and other media content. That means if you want to transfer these protected iTunes videos and movies to non-iPad, iPhone or iPod players like Android tablets/phones, windows 8 devices, Zune, PSP, etc, you need to Unlock protection protection from iTunes with a professional DRM remover first. 2. Is DRM Removal Legal? The legality of copying or ripping DVD discs is obscure at best, even though the UK government legalized DVD ripping for personal use a few months ago. But it's for sure unlawful to copy and rip DVD for commercial use. 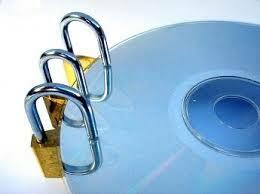 So If you use software to Unlock protection from DVD and rip DVD, be sure it is strictly to make personal backups of DVD discs you have purchased and remain in your home specifically for personal use. Cinavia workaround: it tells you what is Cinavia protection, show you the list of Cinavia protected movies and how to bypass Cinavia protection on DVD and Blu Ray. 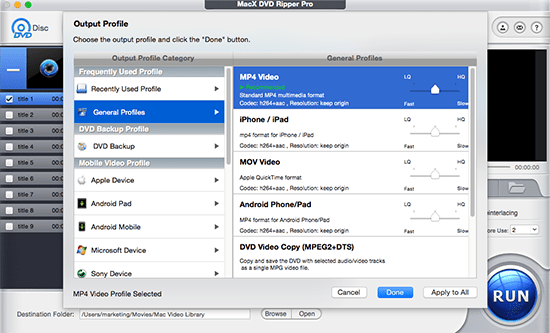 This is a test review of best DVD rippers for Mac, including MacX DVD Ripper, handbrake, Mac The RIpper, iskysoft and Cisdem, all of which can copy with DVD ripping task, along with features to get rid of DVD DRM copy protection schemes.